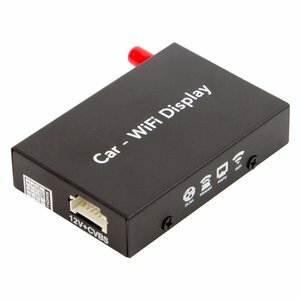 Adapter is connected directly to the car monitor via HDMI cable or RCA connectors. If you want to connect the receiver to the OEM head unit, most likely you will also need a video interface. Note! In order to work properly with iOS 12.x devices, adapter firmware has to be updated to the latest version.